The surface of the Earth is covered with land and water. The land is made up of continents and islands. Continents are large areas of land. Islands are land surrounded by sea. Most of the Earth is covered with water. This water forms the seas and oceans. There is also water on the continents and islands, in rivers and in lakes. 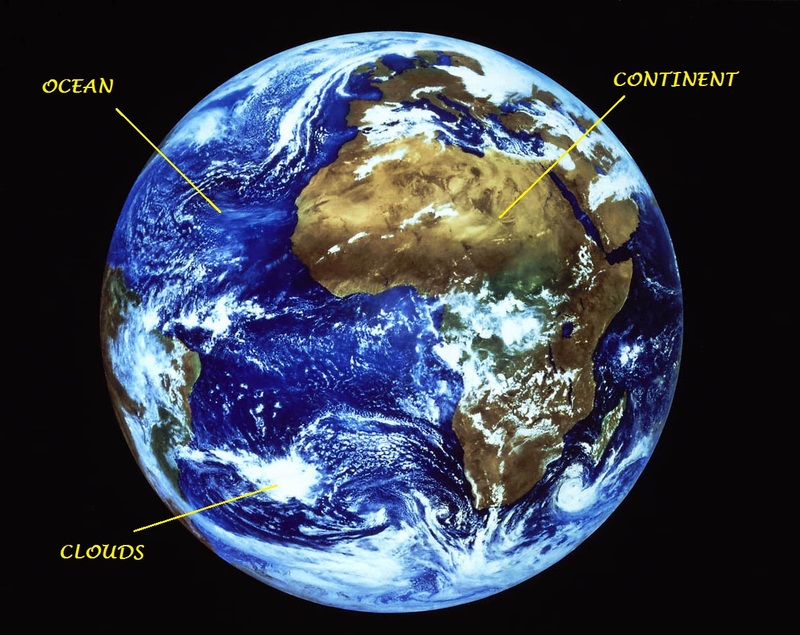 The Earth is surrounded by a layer of air called the atmosphere.